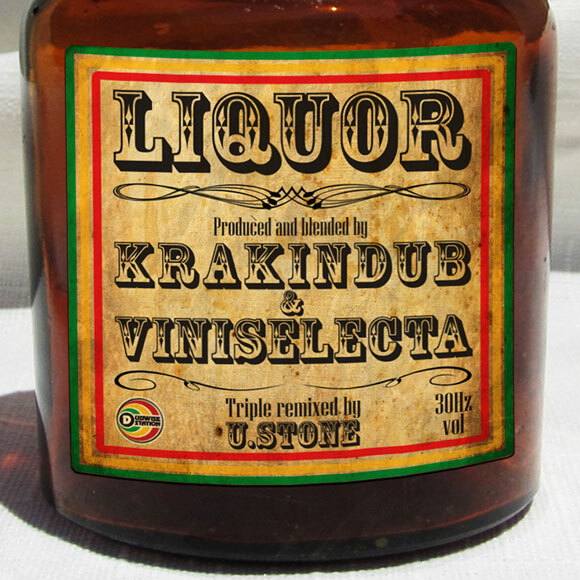 Liquor was originally part of KrakInDub live show and while playing it around Europe and his tours in South America, the response from the crowd clearly showed the potential of the tune. He knew it could be pushed even further so he brought it back to the studio and teamed up with Viniselecta to give it the lift it deserved. Those two worked hard, mixing different vibes that comes together into a dancefloor killer. They got the perfect blend from the reggae skank, the west coast hip hop siren and the raving wobbly synth, turning the tune into a high energy Drum& Bass bouncer. To top it up U.Stone remixed it in a Drumstep fashion that magnifies the energy from the original track adding a heavy dub feel to it. This release is set to make the massive jump around.